The weeks seem to fly by and Easter is almost here. 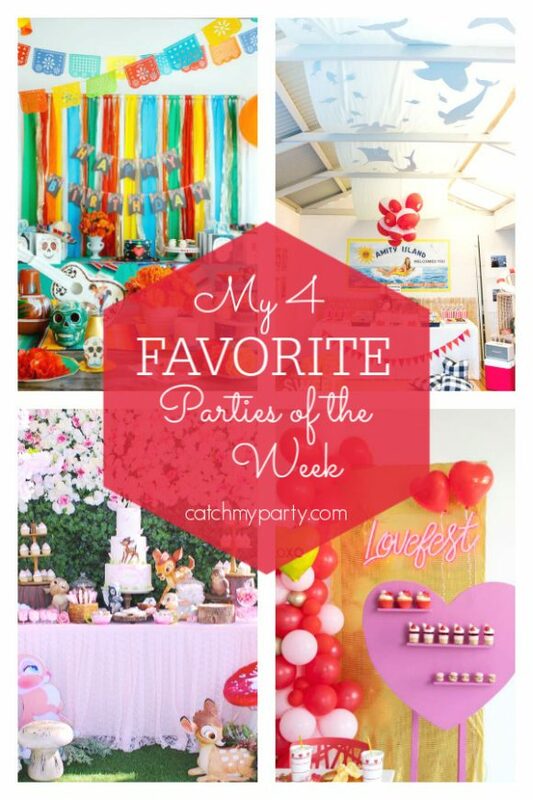 I can't wait for you to see the 4 parties I picked out this week as my favorite! 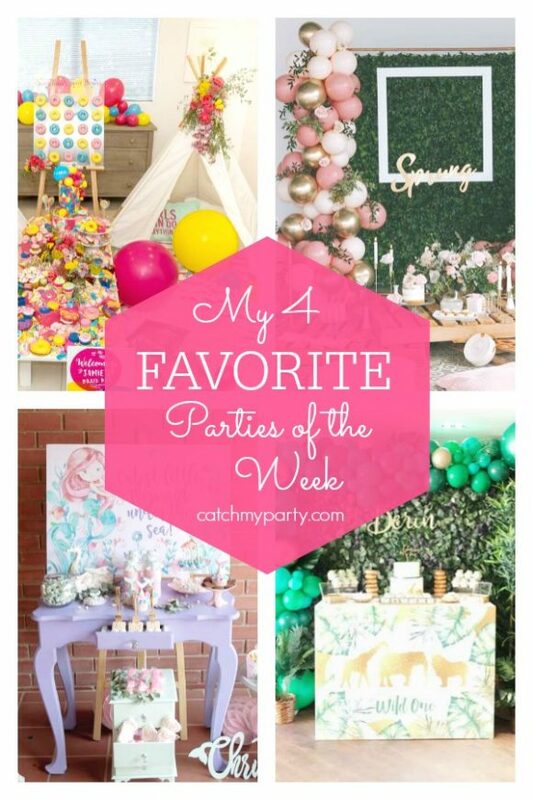 Feast your eyes on the amazingly colorful and vibrant slumber party with a dessert table to die for! 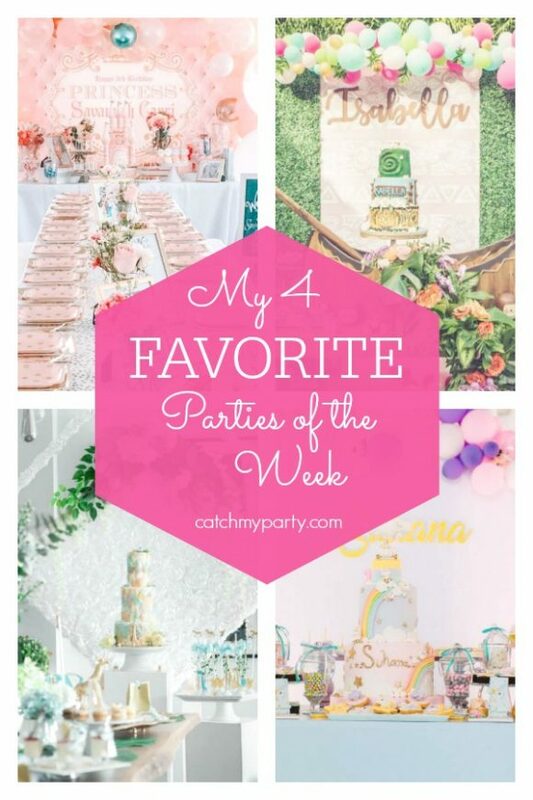 The other parties I picked out are so beautiful, that you really don't want to miss them. 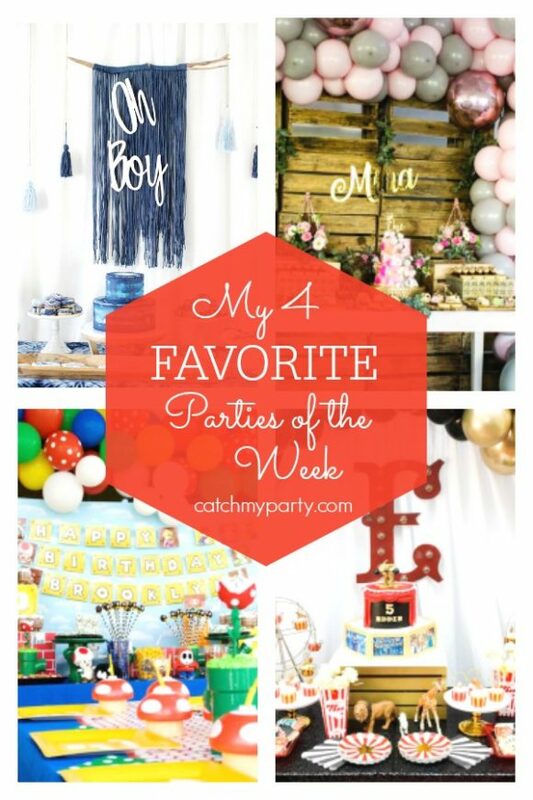 Feast your eyes on the amazing parties that were added to Catch My Party this week! We have a boho baby shower that is so beautiful you're going to want one for yourself! The donuts are to die for! 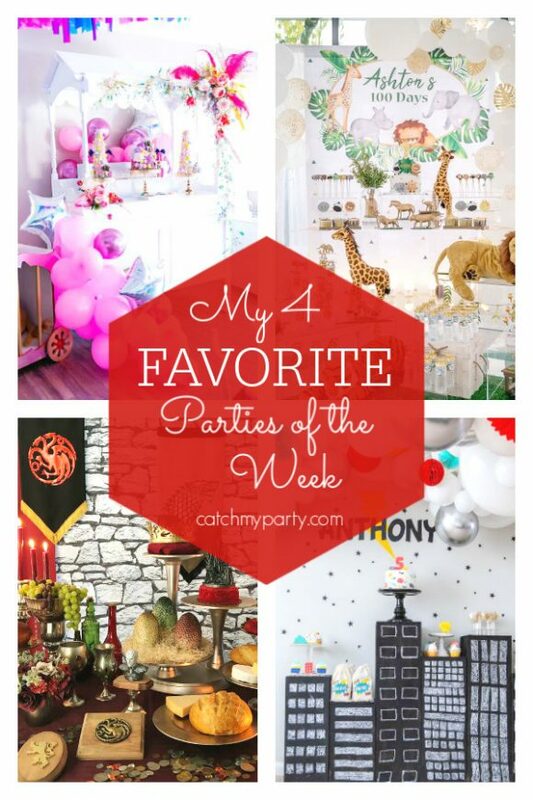 Thank you to everyone that shared their gorgeous parties Catch My Party this past week! 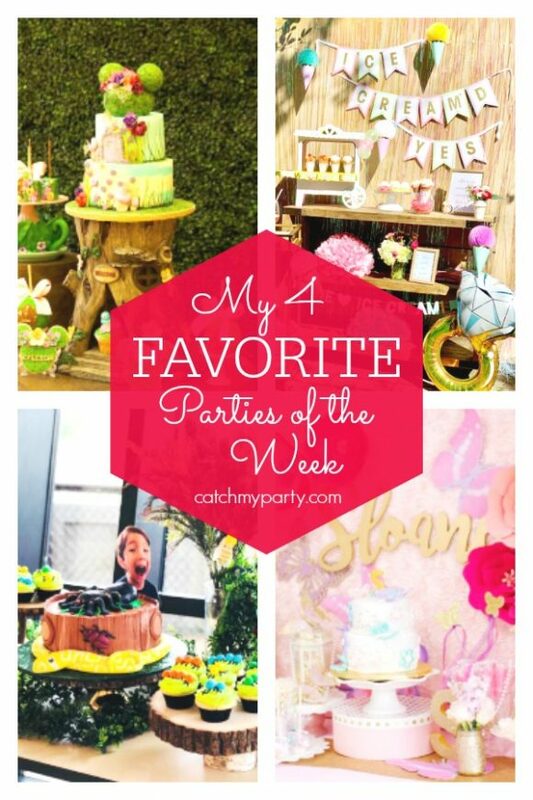 I had a hard time picking out my 4 favorites, but I just had to include this gorgeous Minnie Mouse Woodland Party. Get ready to fall in love with the work of art that is the woodland inspired birthday cake topped with Minnie ears! You're going to be blown away. Make sure you check out the other parties too! We have an awesome creepy bug birthday party that is just awesome! Enjoy! 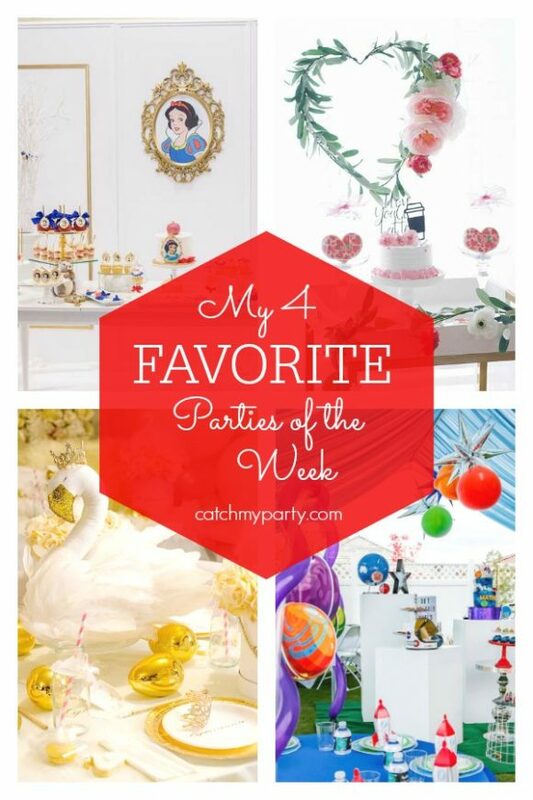 I can't wait for you to feast your eyes on the wonderful parties that were shared on Catch My Party this past week! 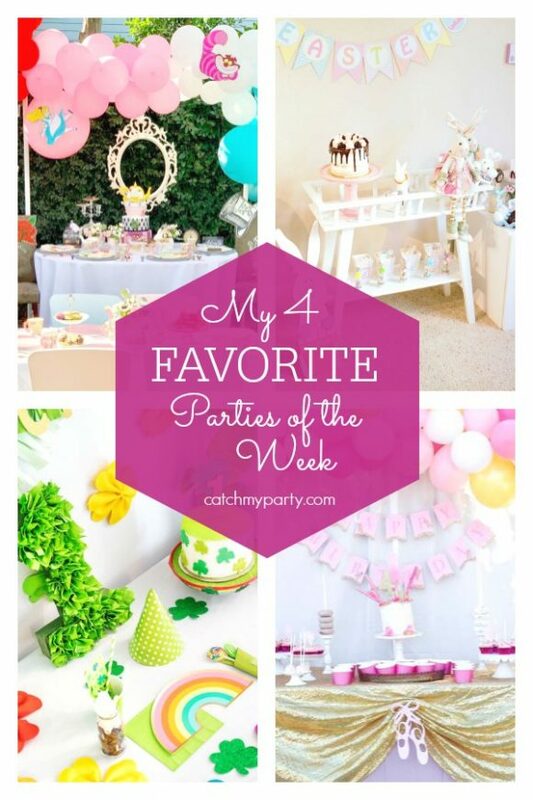 Included in my 4 favorites is a gorgeous Alice in Wonderland tea party. You won't believe the birthday cake. It's a work of art!! Make sure you check out the other parties too! We have a wonderful St. Patrick's Day and a pretty Easter party that you are going to love!! 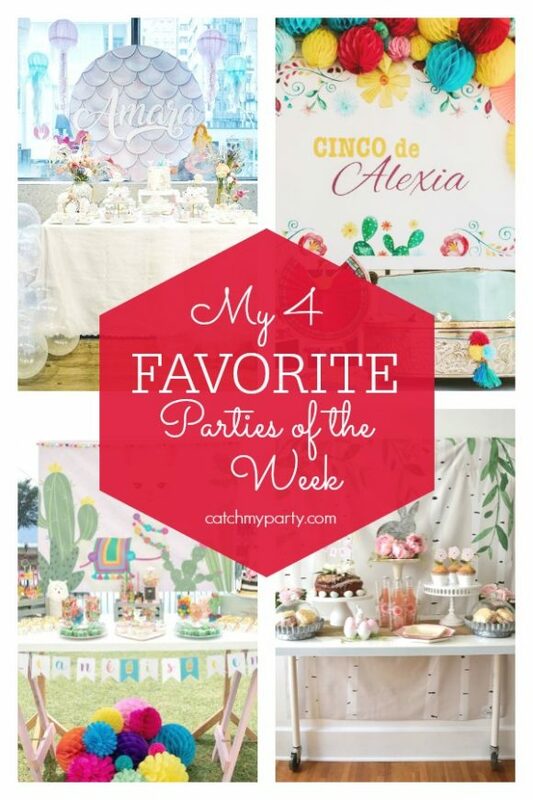 This week we received so many incredible parties on Catch My Party, such as this fantastic Coco birthday party with it's fun Mexican themed table decorations. Thank you so much to everyone who took time out of their busy schedules to help inspire others and show off their wonderful parties! 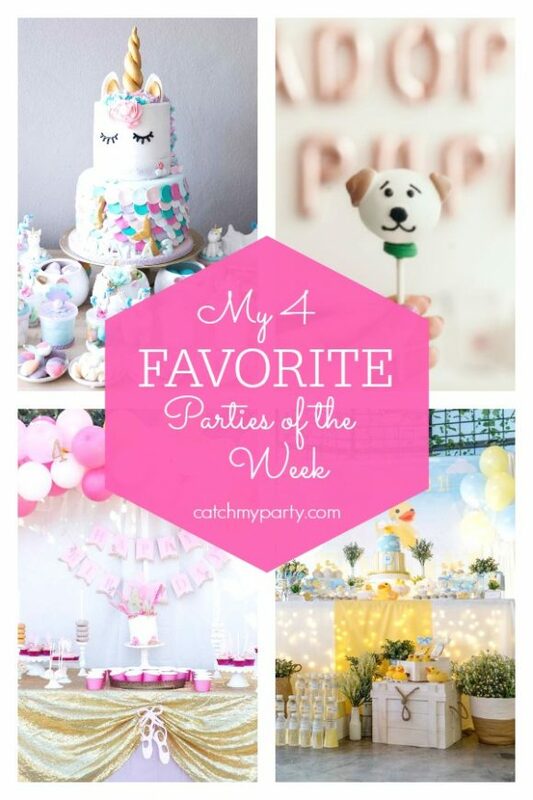 Don't miss the other parties that I've picked out for my 4 favorites. The Valentine's day party will put a smile on your face!